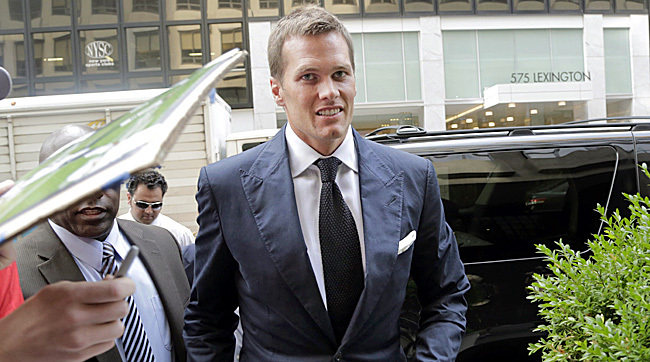 • Lorin Reisner, an associate of Ted Wells at the Paul, Weiss law firm, was representing the NFL in the case and asking questions at the hearing while having worked on the Wells Report. • Because Goodell is not a lawyer, NFL outside counsel Gregg Levy curiously seemed to be running point during the proceedings, even speaking for Goodell in certain situations. • Troy Vincent, the NFL’s vice president of football operations, spoke of protocols and processes that did not seem completely buttoned up. His dismissal of the league's failure to issue discipline in other situations involving tampered footballs was unconvincing, and he admitted that no policy was distributed to players, only to teams. • Brady’s decision not to have an NFLPA representative sit in on his interview with investigators, although “the kicker Gostkowski” had a union lawyer by his side. Beyond all the information from the transcript, it is important to note that Judge Berman will not consider much of it. He will focus on the process—not the merits—of the case to determine whether Goodell abused his power and discretion in this instance, and judges are normally reluctant to overrule established procedures, as here with the CBA. And the NFL will revert to its default setting of standing behind its broad commissioner power doctrine. Thus, we are back to the issue that Goodell—who had already shown himself to be overreaching in penalizing player conduct (Ben Roethlisberger drew a six-game suspension for conduct that, while vulgar, drew no criminal charges)—made a priority in collective bargaining four years ago. Although the union has had success in harnessing Goodell with the Saints’ bounty case and the Ray Rice appeal, those may just be speed bumps along the highway of the Conduct Commissioner’s CBA-sanctioned power. The NFLPA is looking to Judge Berman, as with former Commissioner Tagliabue (Bounty) and former Judge Jones (Rice), to do what collective bargaining could not: rebuke Goodell’s heavy hand. • Questions or comments? Email us at talkback@themmqb.com.